When I was a kid I would pin a red bath towel around my neck and jump off the fence. I was convinced that if I could just believe, strong enough, then I would be able to fly - like Superman. I've been chasing that dream ever since. 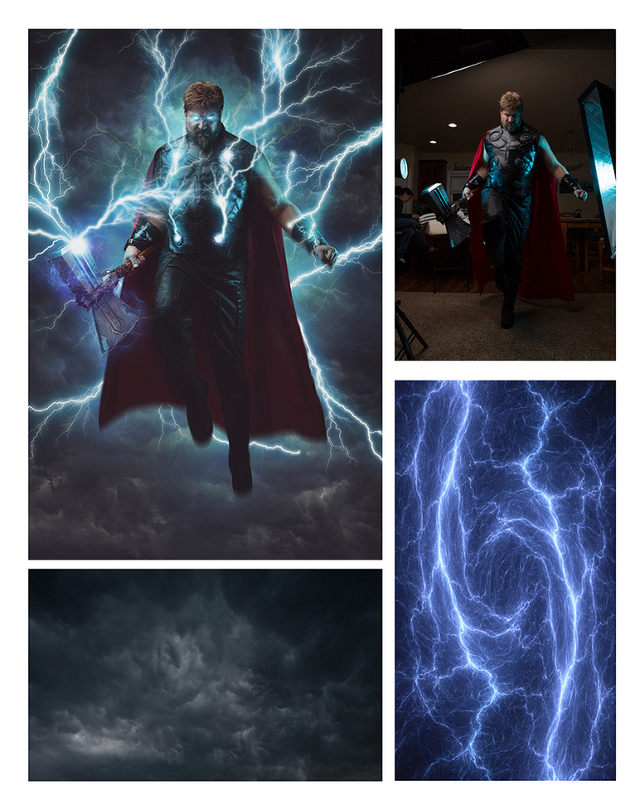 I am an award winning fantasy photographer and Photoshop artist that specializes in creating composite artwork. My favorite genre to create in, is cosplay. I want to help you bring your character to life with a one-of-a-kind custom piece of art, celebrating your heroic feats or darkest plots. When you book your your session, we'll discuss the concept for the character and the world you'd like to see in the final artwork. We'll schedule the time to shoot this at the convention. Over the course of 30 to 45 minutes our goal will be to capture 5 amazing poses, indicative of your character. You'll select the actual image to be used in the artwork. Once the convention is concluded, we will deliver your artwork to you within five days. Delivery is in the form of a social media sized file that is watermarked with a Reality Reimagined logo. We'll broadcast it on our social media channels and send the same files to you, via the email address you booked with. We will also have a beautiful metallic paper print sent to your home address. Licensing the art for resale is an option for additional costs. You may also purchase additional pieces of artwork to be created, utilizing the other available images from the shoot. Presale of the sessions will begin on April 27th!